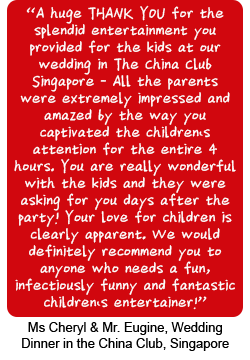 Uncle Fishy Entertainment is one of the leading event and entertainment management companies based in Johor Bahru. We provide premium entertainment services for all kinds of events; which include birthday parties, family days, road shows, annual dinners, wedding dinners, grand openings, festival celebrations, charity performances and gospel rallies etc. 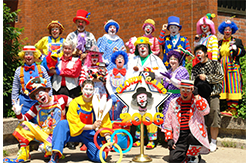 A wide range of quality and interactive entertainment activities are performed by our professional entertainers which include professional clown, magician, face painter, balloon decoration, balloon sculpturing, juggler, mascot, superhero, stilt walker, unicyclist, ventriloquist, game station, emcee, inflatable game, caricature, dancer, fire eater, sky dancer, Charlie Chaplin character and many others. Our mission is to provide the best entertainment. 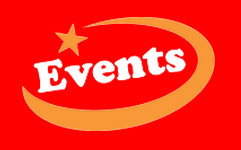 All our talents are committed to present our best to ensure all the events to be most memorable, enjoyable and successful. Our services areas include Johor Bahru, Malaysia, Singapore and across the nation. Mr Edward Leong (a.k.a Uncle Fishy the Clown) is not an ordinary entertainer. He has a dream to bring the joy and laughter to the world. Although his is a professional scientist with a Master Degree in Science (Biotechnology), he has been actively involved in the children’s ministry, community service, church missionary and performing as a professional clown, comedian, magician and children entertainer. He has been performed in USA, Canada, Australia, China, Taiwan, Hong Kong, Singapore & Malaysia. 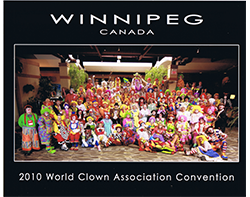 After leaving his footprint in local & foreign countries, Uncle Fishy has been appointed to be an instructor at the International Clown Camp in USA and Canada, and invited to be a lecturer in the creative ministry, magic, ballooning and children entertainment in China & around South East Asia. Uncle Fishy’s experiences have spanned more than 25 years and over thousands of shows. His natural character of caring for kids, unique brand of witty and humorous performing style blended with funny characters and lively interaction with audience has warmed the hearts of young and old. His shows are often peppered with non-stop applause and he wins much praises from audiences across the world. Truly, the presence of Uncle Fishy will definitely cheer your party/event with great fun, laughter and most memorable success! Satisfaction guaranteed! “Uncle Fishy de Clown” appeared in USA News Paper. 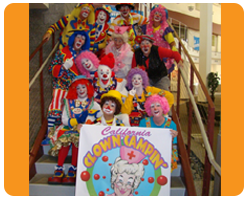 Uncle Fishy is the only Asian clown, whom was appointed as an instructor at California Clown Camp and performer at the International Clown Extravaganza at California State University, USA.